You can’t beat a good testimonial, can you? They’re a fab confidence booster for those wobbly days. They’re a much-needed reminder when your inner chatterbox has you doubting your business acumen and whether you’re cut out for all this. And as an entrepreneur (particularly if you work solo) you need some kind of feedback to let you know you’re heading in the right direction. After all, you don’t get appraisals and bonuses when you’re self-employed, do you? And we all need a pat on the back sometimes. So when was the last time you asked for a testimonial? Or when did you last receive one? If you don’t know (or can’t remember) then maybe it’s time to create a new habit of asking for testimonials from every client you work with. Testimonials are your secret sales tool. You know that potential buyers need to know, like and trust before they’ll buy from you? Well, a testimonial is a fusion of all three. Testimonials are a way of showing you’re worth investing in. They prove your value and expertise in a very real way (without you having to blow your own trumpet) and they speak volumes to potential customers. They also show you’re trustworthy and a credible professional who has the expertise to solve a particular problem. And the best thing about them is they aren’t salesy in the slightest. As well as a dedicated page, pepper your testimonials on other pages too. 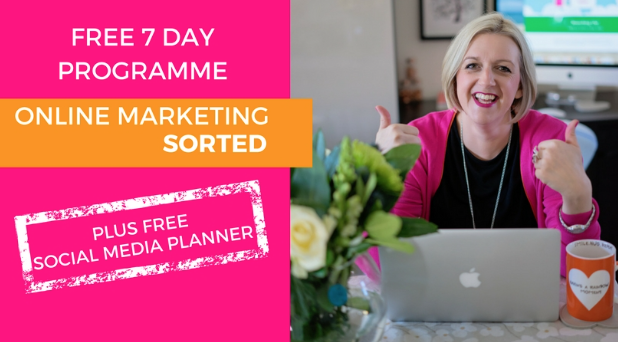 For example, if you’ve got a client who completed a 6 week course with you and has raved about how incredible it was and the amazing results they achieved with your help, add it to your sales page for that programme. It will be much more persuasive than any kind of copywriting. Creating images/memes from your testimonials and sharing them on each of your social media platforms is another great use. We all know that images get more eyes on them than text-only posts, so make the most of this. Get your branding on there, too, and stop people scrolling by. Oh, and while we’re at it, why not use those 5* Facebook reviews on your website too? They don’t just have to stay on Facebook. I hope this has helped you realise just how powerful testimonials can be for your business and your credibility. If the thought of asking for them fills you with dread, then you could think about adding a standard request to your invoices. Or you could simply send your client a follow-up after the end of a project and request a testimonial based on their experience of working with you at the before, during and after stages. Have you any other suggestions as to how to ask for a testimonial? Or other ways to optimise them through your online marketing? Please feel free to leave a comment.